There are a few that really grate on me, fingernails scraping a blackboard, chewing on tin foil and voice mail in a contact center. There is little I can do about the first two on my list other than avoiding blackboards and tin foil, but I can make an impassioned plea to stop using voice mail in your call center or contact center. Many well-meaning organizations provide the option for a caller to leave a voice mail when contact center is closed or even when they are being swamped with calls or contacts. I understand the logic and sentiment, “we can’t speak with you now but would like to in the future, so why don’t we call you”, very admirable. On the surface, this appears to be a very customer centric and oriented approach, which we could expect to align with a superior customer experience. But as the saying goes the devil is in the details. There are a number of challenges that quickly become apparent to anyone who has ever played ‘phone-tag’, first if they customer left a voicemail when you were swamped dealing with other customers, when will you have a chance to reach out in response to the voicemail? You know that you will do so once you have put out the fires and have some availability to be able to make outgoing calls, but the customer doesn’t know this. So when is the customer expecting to receive a callback? In 5 minutes, 20 minutes, 4 hours later? Each customer will have their own expectation in their mind unless we educate them otherwise. We know that failure to meet customer expectation leads to erosion of customer loyalty and degrades the customer experience. But if the customer expectation is unknown, then how can we be expected to meet it? Sounds like a no-win situation to me. Maybe voice mail during a volume spike in an anomaly, so let’s examine after hour voice mails. Many organizations will open the contact center queues in the morning and find that they have received a number of voice mails since the center was closed the previous day. These customers are expecting a callback. Everything that was said above about customer expectations holds true here as well, with the exception that the customer will not expect a call until we open the office the next day. Even with this parameter established, it can still be tricky. Do we return a call at 7 am on a Saturday morning? What is we open at 7 am Eastern time and the customer is in the Pacific time zone? Who doesn’t like a phone call at 4 am? We have likely scheduled agents in the center to be there to answer the anticipated volume of new calls and contacts and have not factored in the 10, 20 or 200 calls to be returned. As a result time slips by as the staff service other customers and occasionally is able to place an outbound call between inbound contacts. Over time, perhaps the entire day or the next couple of days we get all of the calls returned. Are we out of the woods then? Not by a long shot. What happened when we called the customers back? Likely at least half of the calls went to voicemail or some kind and the center likely has a policy on leaving voice mail messages: Yes leave a message so the customer knows we didn’t forget about them, or No, don’t leave a message because they will then call us back and will need to be queued and we may not be able to speak with them. Both approaches have flaws. If we leave a message, we don’t know when they will get the message or when they will call back. There is no guarantee that agents will be available to speak with the customer when they call back or worse they may call again when we are closed and leave another message, which can further reduce the happy factor of this interaction. Now you may be thinking that no leaving a message is the best strategy and that we will keep calling until we reach the customer. That approach is great for every customer we reach quickly, but remember that because we haven’t left a message the customer doesn’t know that we have called. What would you think if you left a voice mails and didn’t receive a call back in what you consider a reasonable time? You wouldn’t be happy. It is an unpleasant situation all round, and we haven’t even addressed the fact that many millennials and other, screen their calls and don’t answer a number they don’t recognize (Caller ID is dependent upon the last mile carrier) and some people simply have very busy lives and will never answer their phones. If you fail to reach a customer despite numerous attempts, the customer’s perception is that you didn’t contact them and must not value their patronage or need their business. This is not the customer experience that anyone is working to deliver. But we can stop the insanity, by eliminating voice mail in our contact center. I can hear the scoffs of derision at such a suggestion. But is leaving a voice mail really doing the customer a favor? They may have to engage in a protracted game of phone tag, increasing volume into the contact center, they may never hear from us (as we never left a message) and neither of these outcomes enhances the customer experience or is likely to build loyalty or repurchase. The other scenario, of course, is that they reach out to us again with a phone call, chat or email. Heck, they may even have resolved their issue while we are still phoning them trying to make contact. These outcomes represent additional and wasted effort which doesn’t necessarily result in a better experience. If we shouldn’t offer voicemail what should we do? Well, the first strategy is, well, nothing. If the customer cannot get through, because the center is closed, then they will likely call us back or employ another channel such as email to make their request. In either case, we are handling the contact through the expected channels and with the appropriate resources assigned to the task. A second option can be to employ a ‘callback’ in queue approach. Callback in queue allows a customer to request a callback, be provided with an estimated time for the callback and enter the number where they would like to be called. Customers love this feature as it allows them to get on with their day, while still retaining their place in the call queue. So there you have it, two viable and reasonable alternatives. 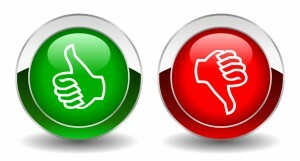 The choice is yours, and both will likely represent an improvement in customer experience. So please select one of these options and for goodness sake please stop accepting voicemails in your contact center. So how do we build an enduring structure in our call center that will support engagement, motivation and allow us to deploy aligned reward/recognition programs that succeed in meeting the objectives of the center and the business? But what happens if we can design an environment where the agents push us? What happens when the agent is proactive, rather than reactive? But what happens if we can design an environment where the agents push us? What happens when the agent is proactive, rather than reactive? Structural design focus creates a push model where staff are motivated to succeed and grow. Structure must be designed and aligned with the objectives we wish to obtain. It is a lot of work to keep staff motivated and engaged. It seems that we are always introducing new programs, pushing the agents to perform, pushing our goals. So where do we begin our structural design? At the beginnings, by looking at how the agent perceives their role and the progress they make over their career. The accompanying simplified fish diagram above shows and agent career progression with a call center. At the left they go through the hiring and recruiting process. They start to become familiar with the details of their job and role. They are introduced to the ACM (Adequacy, Competency, Mastery) or other career paths and understand where they can progress. They receive and provide peer feedback helping them improve. Their improved results are recognized. They move up a level and receive increased compensation. Hopefully they continue on to have a successful career with the call center. To understand how this framework can be the underpinning of a successful structure let’s examine each of the elements in the career progression. Good bye mirror test. Previous experience is not a reason to hire anyone. Bernie Madoff has 30+ years as a successful money manager. Anybody want to hire him? Hire people who are best equipped to succeed. Doing so reduces turnover, especially in the early stages. The best way to achieve this is to employ skills and competencies: map your best agents. Don’t hire others cast offs. There is generally a reason why they aren’t working there anymore. Don’t take someone's word that they have attention to detail or can type, test them. Establish specific interview questions that will be used by all interviewers. Such as tell me about something you did really well and are proud of, who did you tell, how did you explain it to them, why did do this, how did you do this differently than others might have. Of course interview questions are subjective and present more risk than an objective test, but if we ask enough questions related to a topic area and approach the questions from a few different angles you tend to be able to weed out those who are making it up on the fly. Almost every center has job descriptions. But fewer than 10 percent actually have accurate job descriptions that reflect what is done in the role. Your job description must detail specifically what the position entails, state what the performance metrics will be employed to measure agent performance, tell them what performance they will need to attain and maintain, tell them who they report to, any dotted line relationships and cite the roles and positions that this job is a prerequisite for. If you are employing ACM share with them the matrix showing what they need to attain to move up the food chain. When agents know what is expected, how it will be measured and where they can move to if they succeed most will work towards this goal. Their motivation comes from within and not from the outside. Do not fall into the habit of creating new job descriptions for all special projects or short term assignments. Each job description should include a reference to special projects and of course the “other duties as management may assign” clause. A special project or new responsibilities do not necessarily require a new job description. These are just changes in job tasks not changes in the job. You need to show them where they can go, within the center and beyond. You must define, document and publish the career path. When you have a map, it is easy to work towards a goal. Share your ACM model, or other defined career path. Share the career flow options with the agents. Let them know that your role as their manager is to help them succeed, because the more they succeed the more you as the manager will succeed. People can become jaded just listening to their supervisor telling them what they need to do and how to improve. The context changes instantly when the guidance is coming from a peer or a mentor. A peer feedback program empowers staff to share their knowledge. The agents and mentors will also learn through coaching. Coaching and mentoring benefits both the giver and the receiver. If you employ a Voice of The Customer (VOC) program or call logging or recording in your call center it is quite easy to leverage this facilitate peer feedback. In short a Voice of the Customer or VOC program employs call recordings either random or based upon specific themes to provide senior management with insight into the types of calls and details of the calls being received in the center. These calls maybe scored by your QA group or not. To leverage your VOC or base call recordings, segment calls by agent and provide these to all members of a peer group. Your peer group could be all agents in the center if it is small, or a specific existing team or you might wish to create a new peer group specifically for this purpose so that you can mix supervisors teams and/or include SME’s in the group. Regardless of the peer group constitution, once you have distributed the calls to the peer group you meet once a week to provide feedback to one agent. If you have six people in the peer group and review three to five calls per week this will represent approximately one hour of ‘off-phone’ activity that needs to be included and planned for in their schedule. The objective of each meeting is to review the agent calls. Now since all agents will be likewise assessed on a rotation basis, people tend not to be overly critical, rather they focus on constructive suggestions…how else could you have answered that question…when I had that question, I replied with…, have you tried… all of these informal coaching sessions can be very productive. In fact often these are seen by the agents as more beneficial than their traditional coaching sessions with their Supervisor or the QA team as they know that their peers are also ‘do-ers’. This peer feedback should not replace your existing quality program, rather should augment it. Organizations that have implemented Peer Feedback in addition to their existing quality programs have seen much faster improvement in agent skills. The first step in building a structure is recognizing what is important to the center. In most centers what is important includes: performance, improvement, leadership and coaching/mentoring. Performance is likely the single point on this list that your senior management will discuss with you, but the fact is that without the other three points in place it is much harder to achieve improvements in performance. So you will need to provide recognition in all of these areas. Before deploying any recognition or reward programs in any of them, identify the metrics to employ and be sure that they will give you the information required. If you cannot identify specific metrics that are objective, I would suggest you pass on the program. Any program that is based on a subjective assessment will be tainted. Next you must look at other unplanned for outcomes that could occur and if there are any ways for the agents to ‘game’ the system. So recognise the top performing team in FCR, CSAT, Quality, Sales, Tickets closed etc, as well as the most improved team in these areas, Ask the teams perhaps to nominate one member of their team for a leadership award based on predefined criteria (could be a weighted combination of their teams FCR, CSAT and Sales Revenue). Recognize peer contributions; who provided the most coaching who is not in the QA team, how many sessions did they participate in, the average or aggregate improvement of the agents coached etc. There are so many ways to recognise the winners which are cheap and easy...preferred parking, pick your shift, wall of fame, lunch with the call center manager or CEO, ride along with sales or service for a day, certificates, posted in reception, identified on the reader-boards (LCD’s), billboards, newspaper, on the website, on the intranet site, the company Facebook page, a Tweet to all. If we look beyond no cost, low cost incentives and rewards, there are a huge number of options available to you, such as trips, hotel stays visits to other offices, cash, dinners, conferences etc. These rewards will tend to fall into two categories --work related and non work related. Both of these can have value. The work related ones (trips to other offices, conferences, seminars, dinner with the CEO) all allow the recipient to learn. This learning will help them to improve their understanding of the company or of the call center industry, both of which can pay dividends in their positions, equipping them better to win future rewards. The non work related rewards (trips, hotel stays, dinners, cash etc.) both improve the recipients’ quality of life, albeit briefly, but also allow them to share their reward with their significant other. This is also a chance to show off. This improves the recipients desire to win again, thereby increasing their motivation to win future rewards. Both of these approaches can work well. Business related rewards are appealing as they not only reward the individual but also benefit the call center and the business. This provides a better match to the career path of an individual than a dinner out. One interesting reward was a quality award at an outsourcer/BPO working with Ford. The reward for the highest quality score average at the end of each year was the use of a Ford vehicle for the next year at no cost. Exercise caution however on ‘big ticket’ rewards. Obviously ‘big ticket’ incentives can cost a lot, and can represent a significant portion of your incentive budget. Personally I would prefer to run a number of smaller incentives rather than one big one. Big rewards tend to be won by the top agents. Very quickly less skilled agents will give up trying and pretty soon you can find yourself having just two or three motivated agents chasing this prize and 40 who have given up and are not motivated. When giving monetary rewards, be sure that these are structured as re-earnable rather than a permanent reward. In some centers they pay a bonus of $.50 or a $1 per hour to all monthly reward winners or those who exceed threshold levels the next month. This however is re-earnable, which is to say that if I win three months in a row I will get the bonus, but if I fail to do win or achieve the threshold the next month, I don’t get the bonus and my compensation drops down to my base level. Of course, there is still a place for tactical rewards to achieve tactical objective. An example of this would be to increase staffed hours during a known volume peak period, where a bonus maybe paid to all agents who pick up 10 extra shifts in a month. Tactical goals will by definition be short term and allow you to realize the goal in this period. What I would hope you take away from this recognition review are that there are numerous inexpensive ways to motivate your staff, that retention and motivation aren’t just about money, that you need to structure your retention, rewards and recognition program to recognize what is important and lastly that structure, transparency, alignment and engagement can help you to reduce attrition in your center. • Regular and expected fluctuations in employment levels and labour availability ‘hid’ the problem for periods of time. Before we examine how to improve retention it is critical we have a good understanding of what our current situation is. Do you know what your turnover rate is? Do you know why people are leaving your center? We have worked with many managers that have answered yes to these questions only to later ask to revise their answers. It is critical that you know or at least believe you know the answers to these questions as we begin drill down through the challenges of retention management. All centers today employ rewards and recognition within their centers, some with robust unified programs and others moving through a series of one-off tactics. However many of the centers in both of these camps do not have a good grasp of human nature or what truly motivates people. The recent recession has caused many call centers to scale back, they have thinned the ranks of management, fewer VP’s per square inch, and have reduced or frozen headcount and budgets. So doing more with less; really has become doing more with none. A changing staff On top of the budgetary and economic issues we have seen a change in the agents we have working in our centers. Gen X and Gen Y employees are different. They have different expectations, motivations and a different view of what is important. They represent new challenges in engagement and motivation. You need to approach Gen Y employees differently in order to engage with them. Finally we must remember that tactics are short term. One off campaigns, contests and incentives will be quickly forgotten. Wherever possible you want to develop Reward and Recognition programs and incentives that are strategic, that is to say support and align with the goals of the center and those of business. Strategic and structural programs endure and become a part of the fabric of the center. Having said this, don’t discount the value of using money as an incentive...It is still the right size, shape and color, but it should not be the only tool in your rewards and recognition arsenal. One fact that many centers have reported to me is that their staff has become more transient. Staff is not career focused…some just want a job and not a career. Some may be working in the center until they find a job...what does that say about their perception of the call center and the company? Turnover is a fact of life and will always be a concern to call center operators. And like it or not our Supervisors are likely not as well selected or trained as we would like them to be. All of these factors were true in call centers 20 years ago, so has anything really changed? Recognition is not enough Time and time again you will hear experts and pundits espouse that recognition is all you require to have a happy and engaged workforce. Unfortunately that isn’t correct. Recognition is wonderful and makes those being recognized feel special and valued, but alone it is not enough to solve retention issues. By themselves recognition programs have a number of shortcomings: Event and time based programs end, ‘First past the post’ generally results in the same cadre of agent winning all of the time- remember our Mastery agents...they should be winning all the time! If you can not win, you will quickly give up trying. In this situation the reward program that was implemented to motivate and incent agents is actually a disincentive. The key to long term success and ease of management is to implement programs that are aligned with the objectives of the center. They support the attainment of the objectives and goals established for the center. For example if one of the centers objectives in 2010 is to improve First Call Resolution by 5%, then an incentive or recognition program tied to FCR or reducing repeat callers or increasing the percentage of customers who identify “fully resolved” on the post call survey are all examples of aligned programs. Programs that recognize those who achieved a 10 second reduction in AHT is not aligned with the objective unless its’ scope is expanded to include a while improving FCR. In fact in the AHT example it is quite likely that this program would actually reduce FCR at least in the near term as agents rush callers off the phone and struggle to find faster ways of doing things. Similarly programs that incent sales can be great, but if that is not a center objective it is not aligned. Lots of achievements that can be seen as positive improvement in a call center, but not all of them will be aligned with the stated and published business objectives of the center; reduce AHT, reduce costs, increase sales, improve center profitability, reduce calls, reduce cost per contact, increase FCR, increase CSAT, improve ESAT etc. All of these can be identified as call center business goals. But none of these operates in a truly independent manner. We know that a call center is an interconnected web of processes, people, technology and methodologies and many of these elements are connected...some in obvious and others in far more subtle ways. Cases of non-aligned incentives The following are a couple of real world example of non-aligned incentives. One services company set the center objective to reduce costs...this is likely one goal we are all familiar with. So the center management decided to offer and incentive for agents who attained an AHT of under 200 seconds. For each call they handled under 200 seconds they had their name entered into a draw for prizes. At first the results appeared stunning almost every agent reduced their AHT from 220 -230 seconds to sub 200. It was on the third day however that the center manager noticed that the call volume was rising significantly above the generally accurate forecast. They were at a loss to explain why. In a real outbound example, one company had an inside sales team that sold new business to a large prospect database. Now the database had been cobbled together from multiple sources and had a lot of holes in the information, missing addresses, postal codes etc. The manager determined, reasonably, that if they had better information in the database then they would have fewer orders with incorrect and/or inaccurate information which required rework. So the Manager implemented an incentive program that paid the rep $.50/ updated record. This worked, in fact it worked so well that once the agents realized that they could make as much if not more incentive dollars by simply updating records versus selling the service, they stopped selling. Now I ask you what should be the primary role of an inside sales team? We know that other companies and organizations struggle with the exact same issues as we do. How do these firms motivate their staff? There are lots of good ideas here, but most are tactical, one-offs and some you can see that are a part of larger, over arching program. Many of these tactics could however be integrated into a strategic program. One other thing you will notice is that almost all of these reward on the ‘best’, we know from experience that these types of programs do little to motivate or engage the ‘rest’. Tactical versus strategic How can we move beyond the individual recognition event? The answer is to move beyond the tactical and develop an aligned culture and community that delivers superior service? This requires structure and design, both of the real world examples I cited earlier shared the design flaw that the managers didn’t think through the process. They also didn’t appreciate that agents are smart. If there is a way to ‘game’ or cheat a system, they will find it and exploit it. The second part of this article will explore the creation of an enduring structure in the call center that will foster employee engagement and motivation and permit the deployment of aligned reward/recognition programs that meet the objectives of the center and the business. Let’s look at the numbers. In a customer service call center where the quality assurance program requires the evaluation of 4 calls per month. The average agent will handle approximately 1,600 calls in the month. This means that the 4 calls evaluated represent only a quarter of a single percentage point. Or put another way we are evaluating and assessing only one out of each 400! How representative was the second Tuesday of August? To employ that Tuesday in August of last year as being representative of the past fifteen months likely doesn’t make sense. Neither does basing an opinion of an agent’s performance on every 400th call. No mater how we try to examine these individual call assessments, the sample size is just too small to have meaning. This is the fundamental problem with attempting to employ quality assurance scores as mini-performance reviews. Attempting to use your quality reviews as a performance assessment tool misses the primary objective of quality management. Quality assurance is about assuring the quality of the service being delivered. To who is this assurance being made? The answer is to senior management. The practice of assessing quality allows center management to gauge the performance of the center and individual agents within the center. The value to the center and senior managers in knowing the relative performance of the center and comparing and contrasting the performance with previous months is significant. But perhaps the ability to identify how individual agents are performing is more valuable. By knowing where agents are at can help us direct our efforts to improve the overall performance and quality of the center. The objective isn’t just to identify problems and what agents are doing wrong, but also to identify what they are doing well. Both the areas for improvement; through coaching leading to improved individual performance and sharing best practices improves the overall performance of the center. Performance reviews have a place and time, and that is your regularly scheduled performance review. The agent’s individual performance reviews may play a small role here specifically related to improvement over time as their skills improved. Remember that a failure of an agent to improve or be able to overcome performance deficiencies is as much a censure of the coaching and skills development staff, recruiting and staff selection and processes as it is of the agent in question. The correct positioning of the Quality program, its strengths and weaknesses, function and goals is key to gaining a well functioning center. This positioning needs to be known by both the senior management but also the agents. So that each can recognize their contributions and how all can help with the centers success. Is A Strategy For The Contact Center Necessary? In our call center and contact center consulting practice, we are often asked this question. “Strategy is the direction and scope of an organization over the long-term: which achieves advantage for the organization through its configuration of resources within a challenging environment, to meet the needs of markets and to fulfill stakeholder expectations”. All businesses have a strategy, many by definition and constructed to reflect their own business realities, customers and markets. Some strategies are undocumented and driven by entrepreneurial zeal, but every bit as much of a strategy as those defined. In short a strategy provides the organization with a goal and direction towards that goal that it aspires to realize through the conscious and determined efforts of its staff and stakeholders. So is a strategy required for elements within the organization such as customer service or contact centers? I would suggest that yes. A strategy or strategic plan is essential for the contact center to support the organization as it works to realize the corporate goal. Companies in developing their strategic plans define who their customers are; and their primary audience focus on how to create value that underpins the strategy: The Customers come first or the Employees come first or their shareholders come first. If the focus is on the customer then the contact center will be critical to interacting and serving customers needs and requirements. If the focus is on employees, it is often extrapolated to explain that happy employees will work harder and deliver superior service to customers. Even in the cost conscious shareholder value creation model customers must be serviced. The reality is the contact centers are the most common communications channel between customers/consumers and the organization. The contact center plays a critical role in supporting the corporate strategy and influencing customer satisfaction. So how to develop a strategy or strategic plan for the contact center? First acknowledge that as contact center leaders we do not have a ‘blank canvas’ to work with. The corporate strategy has already been defined and is evident in the Mission Statement, Vision and Values documents. In reviewing these documents we can gain an insight into the strategy, the customers served, the manner in which value is created, the goal and objectives of the strategy and the values which are the touchstone for making difficult decisions. So the development of contact center strategy is completed in the context of the corporate direction. Second we know that our role is to interact with the customers in a manner that supports the corporate strategy. Lastly we know what the Vision for the future is. We know where the company is going. Our challenge as contact center operators is develop a roadmap and plan to support the evolution of the contact center in lock-step with the evolution of the company towards its Vision. The key of an effective call or contact center strategic plan is to support and align with the overall strategy for the business. Implementing this sounds fairly straightforward but can be fraught with challenges and problems. For example what is the appropriate service level target for the defined primary customer group versus a secondary customer group, who, while not primary is still a significant source of revenue? How can you reduce the costs to serve one customer segment while increasing resource allocation and delivering superior value to another? How does your agent or representative model map to these distinct groups? Can everyone serve both customer segments? Can they do it well? How do you embrace new Customer Satisfaction (CSAT) goals to support the strategy? Are you even sure that your current metrics, such as internal quality are providing accurate customer satisfaction data? The first undertaking that the center operator must complete is to ensure that they understand fully and in detail the corporate strategy. Too often contact centers launch initiatives to improve customer satisfaction, or reduce costs only to discover later that the corporate goal wasn’t an across the board CSAT improvement; or that the cost reduction initiatives undermine revenues and repurchase from the primary customer segment. Sit down with the management and review the mission, vision, values statements and any additional detail and specifics that the manager can provide. In the context of the two examples cited above what is meant by customer satisfaction? In which segments of the customer base should satisfaction be improved, why and how? What is the intention for the remaining customer segments? How will the segmentation of customers to allow a focus on the primary customer group? What is the impact for example on the queuing structure and methodology? Is the CSAT of the remaining segments to remain unchanged, decline or increase? What is the budgetary impact anticipated with these changes? Regarding cost reduction what are the boundaries associated with this change? Is this change really desired to improve the profitability of customer transaction? If profitability is the real goal then the actions taken to reduce costs cannot at the same time reduce sales conversion (the percentage of the customers who buy), nor reduce average order size or frequency. The establishment of boundaries limits the range of options open to the operator and also supports alignment between the two strategic plans. Alignment is critical. Without both strategic plans being in synch, they can be working in opposite directions, and the attainment of both of the plans objectives and goals can be compromised. As the primary communication channel between customers and the organization the call or contact center can have a disproportional impact on the overall performance of the company in attaining its stated goals and objectives. Alignment goes beyond the Vision statement and the future state end goals of the organization. The center must be aligned with the core Values established as well. If the company has determined that its value creation model focuses on an Employee First strategy then the contact center must ‘walk the talk’. In an Employee First strategy, the premise is that happy employees will create happy customers who will continue to patronize the company and buy its products and services. How can an operator embrace an Employee First strategy in an ‘always on’, high change and structured contact center environment? What do we do with our existing metrics? Is Average Handle Time (AHT) an effective or even an appropriate metric in this environment; or does it simply encourage representatives to feel conflicted. For example “Does the company want me to satisfy the customer or get off the phone quickly?” Such conflicts are not aligned to employee satisfaction (ESAT). Where there is conflict there will also be confusion and frustration. This hardly sounds like a successful Employee First strategy. So examine the metrics and KPI’s to ensure that what is measured is what you want to attain. The steps outlined so far focus on immediate operations in the center: how the center has to change on a call by call basis. But what about a long range view. How do these changes impact on the incoming demand in terms of volumes of calls, emails, chats and self service? The operator needs to make and challenge assumptions regarding how these changes affect and impact demand. This is important. It is the forecasted demand, along with service level and AHT that determine the labor costs and budgets. In concert with reviewing the demand the operator also needs to revisit other key aspects of the center operational model: people, process, technology and methodology. Aligning to the corporate strategy impact requires changes in how the center operates. The wise operator looks at how the operations of the center can be changed to improve overall alignment. How can we change the processes to align better with the strategic goals? Is there a technology available that better manages demand or facilitates better segmentation and cost management? These could be structural changes in terms of how the contact center operates today, who it serves and how it serves those customers. Structural change is almost certainly required to align and support the attainment of the results set out in the corporate strategic plan. Albert Einstein said that “Insanity is doing the same thing over and over again and expecting different results.” If what the contact center was doing today delivered the results sought by the strategic plan then the strategic plan would not have been created. With the 7 steps created you can articulate a contact center strategy with the knowledge that it will support the business goals; and move the organization one step closer to the realization of the corporate strategic plan. For more information on developing a contact center strategic plan visit our website at http://www.thetaylorreachgroup.com or contact the author. Even though we do call center consulting we are all customers too. I had the opportunity yesterday to call Bell Canada to assist a client with some routing changes on one of their toll free numbers. There were some questions as to which carrier had the number and after some back and forth we unearthed a Bell bill with the 800 # in questions listed. “Ah ha, said I, now the rest of the work making the routing change will be easy”. How wrong I could be, would be proven out over time. As there was no business number to call identified on the Bell bill I called the main call center number ( 310-BELL). No I have had previous dealings with Bell call centers and some particularly poor interactions with some centers when the calls were offshored so I did have some trepidation as I dialled the number. The call was answered quickly, and the women who I spoke with did a great job listening, asking probing questions and restating my requirement. I was placed on hold twice, both times after asking permission, so she could look up the account and ask her Supervisor for guidance. After she returned to the call she informed me that she could not assist me in making the routing changes and that I would have to speak with the account team assigned, she suggested that she would transfer me to the account team and provided me with the phone number in case I had to call back. This was going quite well and the call had been a pleasure. Once I was transferred the problems began…”Sorry this mailbox is full, please call back later”, click and I was disconnected. After more than 10 minutes getting this far, i wasn`t happy with that outcome and without any other options since I couldn`t leave a voice mail I called the original call center back. Once again a polite, professional agent spoke with me and after I recounted my story to date, she put me on hold to research the problem. When she came back on the line she sounded as amazed as I was that the only number she could find to give me was the one with the full mailbox and there was no email address or other points of contact. Of course after many more calls and escalating outside of the center we were able to get the work completed, but this just shows you that the goodwill created by even the best customer service call center experience can be destroyed in a matter of seconds if the rest of the organization isn’t aligned to provide the same quality of service.